The Sony Xperia Z is definitely coming to a U.S. carrier soon, and all the clues that have surfaced so far are linked to T-Mobile. That includes a photo of the device carrying T-Mobile branding, which leaked on the web not long ago. Now we're being presented with another solid piece of evidence, this time coming straight from the carrier's internet site. Apparently, there is now a whole bunch of support documents for the Sony Xperia Z listed on the T-Mobile Support web page. The documents themselves cannot be opened without the right credentials, but the list can be seen by anyone who follows the source link below. 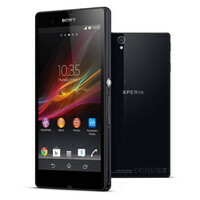 With all that in mind, an official announcement of the Sony Xperia Z for T-Mobile seems imminent. Whether the launch of the Sony Xperia Z in the U.S. will help its maker to get back some of its lost turf, however, is a whole different story.